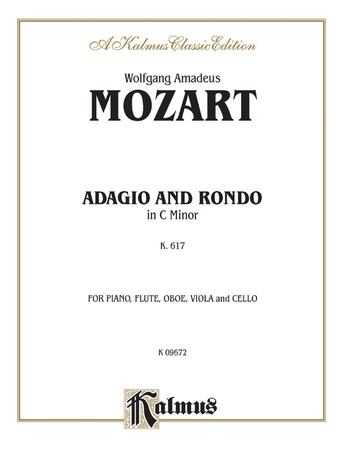 Mozart's Adagio and Rondo (K. 617) was written for the armonica, or musical glasses (a set of tuned glass bowls) and a quartet consisting of flute, oboe, viola, and cello. The music is effective played as an organ solo. 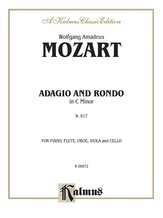 The Adagio may be registered "forte," in the style of Mozart's Fantasia (K. 608). The Rondo should be played on the flute stops. Arranged for organ by E. Power Briggs.